When we began operations more than 20 years ago, we were a small family company of just four employees with a single client, Coca-Cola. Today, I’m incredibly proud to lead a corporation that employs more than 500 motivated individuals across Kosovo, boasting a vast portfolio of top-quality domestic and international vendors and over 4,000 loyal clients. Our determined, tenacious, and always innovative team has steered Meridian through various challenges to emerge not only as one of Kosovo’s foremost logistics and distribution companies, but moreover as an ever-growing, diversified corporation that today includes two retail business units – the Meridian Express mini-market and BUKA bakery and coffee shop chains – with plans to grow and diversify further still. But our success has not come easily, nor have we done it alone. Indeed, since our establishment in 1992, we at Meridian have retained a set of core values that prioritizes people – our clients and customers, professional development for our employees, and support for the Kosovo community as a whole. These are values that remain inseparable from our operations as a business, and I believe that without this unwavering commitment to people and community, we could not have achieved the success we enjoy today. Our company is ever-changing and growing, but one constant will always remain: our commitment to serve the people of Kosovo not only by providing top-notch brands and standout customer service, but also to lead the way as a corporate citizen, giving back to our community through our support to many charitable and cultural institutions that are making our country stronger. What’s next for us – and you – at Meridian Corporation? I invite you to join us in our journey forward – I’m confident it will be an exciting ride. Over the past 20 years, Meridian has worked hard to earn its reputation for leadership in customer service, innovative use of modern technology, and its embrace of corporate social responsibility. The company prides itself on setting the example for incorporating best business practices at all operational levels, an effort it sees as beneficial not only to its own sustainability but also to that of Kosovo’s nascent business environment. With strong brand recognition throughout Kosovo, Meridian boasts positive growth for the past 10 consecutive years and has emerged as a key player in improving the community and generating economic growth in the private sector. But while its business leadership, financial growth, and top-quality services are well-known, Meridian is at heart a people-driven company. The story of Meridian’s journey to success is underlined by its resilient founders, motivated and well-trained workforce, and strong relationship with its community. Beginning with just four family members, Meridian currently employs a staff of over 500. And as the company grows, so too has its emphasis on being a responsible employer. Meridian ensures that its employee training programs offer elements beyond the bare minimum – in addition to the standard introductory training, Meridian maintains a pre-approved annual training budget that makes available training for employees in valuable spheres like sales, marketing, customer service, finance and accounting, and management. Along with these opportunities for personal development, the company structure demonstrably provides opportunities for upward mobility. As a responsible employer, Meridian helps develop the skills and loyalty of its own workforce as well as that of Kosovo’s population as a whole. Also at the heart of Meridian’s people-driven philosophy is a commitment to a healthy and progressively developing Kosovo community. 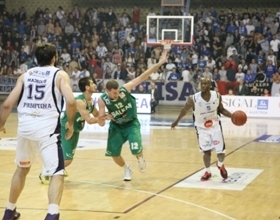 To that end, Meridian ensures that it maintains a constant, positive presence within the fabric of the Kosovo community, including engagement in a number of long and short-term philanthropic efforts, sponsorship of local sports teams, support for arts initiatives, and even efforts to push for healthier lifestyle choices among its retail consumers. • December 1992 – Meridian Corporation gains its first distribution client, Coca-Cola, and is thus established as a family-owned soft drinks company with just four employees. The company launches with the ambitious goal of building Kosovo's largest logistics and distribution company, delivering the best service and highest-quality food and beverage brands to wholesalers, retailers, and HoReCa customers across the region. • Mid-1990s - The company grows in size, know-how, and market share, soon becoming a leader in the development of Kosovo's food and beverage distribution industry. • Early-to-mid 1999 - War breaks out in Kosovo, destroying the country's economy and with it, Meridian Corporation's warehouse and logistical facilities, as well as delivering a significant blow to the corporation's carefully fostered market network. In total, Meridian loses over €1 million in inventory and assets. • June - December 1999 - Meridian Corporation immediately begins rebuilding its business from scratch in the aftermath of the war. Within months, Meridian is importing and distributing premium brands from Austria, Germany, Greece and Slovenia. • Early 2000's - Meridian is again successfully on track toward achieving its initial vision, growing in market share, and establishing a solid reputation among its increasing number of clients for swift delivery, cutting edge technology, and superb customer care. Meridian initiates a number of measures to formally incorporate its longstanding community and social-responsibility values into its core vision and operations, including becoming one of the first corporations in Kosovo to consistently engage in philanthropic activities. • 2002 - Meridian becomes the exclusive distributor of RAUCH in Kosovo. • 2004 - Becomes a founding member of American Chamber of Commerce in Kosovo. • 2010 - Becomes the exclusive distributor of Carlsberg in Kosovo. • 2010 - Achieves ISO Standard Certification 9001:2008. • 2010 - Awarded FIDES prize for philanthropy efforts, primarily for Meridian's work with children's charity SOS Village. • 2011 - Becomes a founding member of the Kosovo Corporate Responsibility (CSR) Network. • 2011 - Meridian Corporation implements a new strategic plan, which includes two new business units: a chain of convenience markets (Meridian Express) and bakery retail outlets (BUKA Bread). • May 2012 - Launch of first BUKA bakery and coffee shop outlet through meticulous German consultancy combined with local market knowledge. • October 2012 - Launch of first Meridian Express convenience market, offering a range of food, beverage, and other FMCG items directly to neighborhood consumers. • 2013 - Corporate Governance Assessment of Meridian Corporation by the IFC. • 2013 - Meridian is one of a select group to win the European Corporate Social Responsibility Award for demonstrating both social and business impact, in addition to its work in building innovative partnerships. • January 2014 - Meridian Express introduces whole-roasted chickens, the first item in the company's developing 'Meridian Kitchens' line of healthy, prepared foods to be sold at Meridian Express and BUKA outlets. 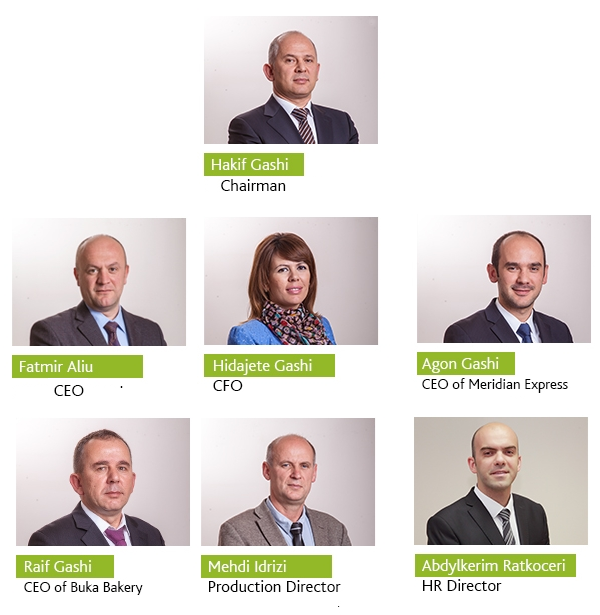 • Today - Meridian Corporation, along with subsidiary companies Meridian Express and BUKA Bread, is a leader in Kosovo's business community offering the customer service of a family company and the business know-how of an international corporation. 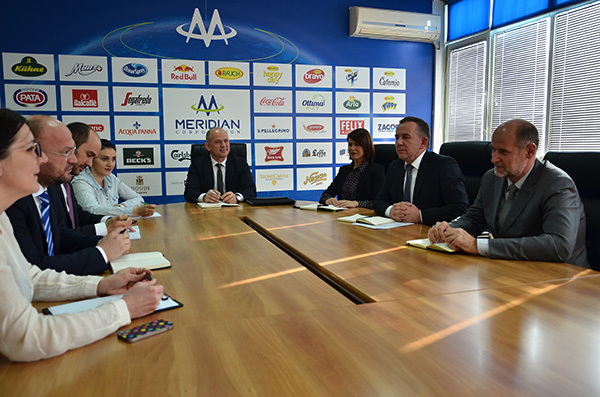 With a strong community connection, well-established distribution infrastructure, and a reputation for professionalism and reliability, Meridian Corporation is a leader in food and beverage logistics and distribution throughout Kosovo. As part of the community fabric, Meridian serves the people of Kosovo by offering high-quality international and local food and beverage brands through over 4,000 loyal partner outlets, as well as through convenience markets and first-class bakeries that provide nutritious alternatives to the industry norm. Meridian is a people-driven that is setting the standard in Kosovo for responsible, accountable business practices that not only meet community needs but also help improve the lives of the people it serves. Where strong social and citizenship values define and guide Meridian, the company’s value for innovation is what gives it the extra edge in the Kosovo market. The Meridian Corporation team continuously stays on top of new breakthroughs in logistics and distribution, and as a result it is currently a stand-out in Kosovo with its state-of-the-art distribution equipment and facilities. A computerized system for expediting orders cuts down on processing time for vendors, allowing Meridian and its partner outlets to track deliveries in real time and store customer purchase history for future orders. But Meridian values continual innovation ‘in house’, as well. Never content to simply deliver what customers expect, Meridian constantly seeks to push new products and ideas into the Kosovo market, widening the client’s and consumer’s experience of what is possible. Indeed, advancing new ideas in the Kosovo market like Meridian Express’s loyalty program and, even more impressively, its successful philanthropic round-up program benefiting SOS Village, illustrate the forward-thinking approach that Meridian takes to developing its business operations. And the success of these efforts show a Kosovo market that, given the opportunity, is ready to embrace new services and even consider novel ideas, such as regularly donating a few coins to a pre-selected charity. A strong social media presence and philanthropic and community engagement are new and bold moves for corporations like Meridian in Kosovo. Meridian Express touts its sales, latest items, and other announcements through its integrated social platform, the most direct and dynamic way to reach their customers.